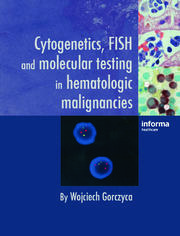 This third edition is the product of the author’s 25 years of experience with flow cytometry; although it covers the wide spectrum of hematopoietic tumors, the focus remains on most important clinical diagnoses, such as acute promyelocytic leukemia, identification of blasts, identification of clonal B-cell population, differentiating mature versus immature T-cell proliferations, deferential diagnosis between hematogones and B-ALL or distinction between chronic and acute monocytic proliferations. 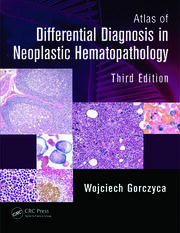 All hematopathologists and neoplastic hematologists will find this an important resource for keeping up to date with developments in clinical practice. Preface to the third edition. Abbreviations. Introduction. Gating strategies. Classification of hematopoietic neoplasms. Identification of clonal B-cell population. Identification of atypical T-cell population. Identification of myeloblasts. Identification of B-lymphoblasts. Identification of T-lymphoblasts. Antigen expression during myeloid and lymphoid maturation. Identification of myelodysplastic syndrome by flow cytometry. Phenotypic markers. Morphologic-flow cytometric correlation. Molecular-flow cytometric correlation. Flow cytometry limitations. Phenotypic classification of B-cell lymphoproliferations. Mature B-cell lymphoproliferations. Plasma cell neoplasms. Mature T/NK-cell lymphoproliferations. Hodgkin lymphoma. B-lymphoblastic leukemia (B-ALL). T-lymphoblastic leukemia (T-ALL). Myelodysplastic syndromes. Chronic myelomonocytic leukemia and other myelodysplastic/myeloproliferative neoplasms. Myeloproliferative neoplasms. Acute myeloid leukemia: introduction. Acute myeloid leukemia: recurrent genetic changes. Acute myeloid leukemia: not otherwise specified. Other neoplasms. 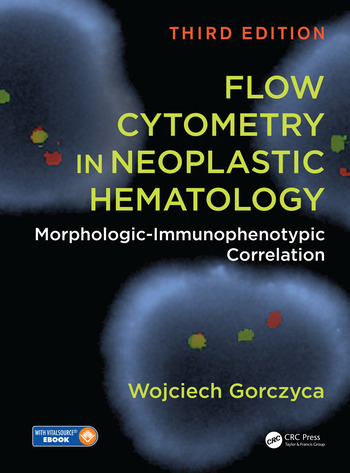 Wojciech Gorczyca MD, PhD, currently works at Bioreference Laboratories as Medical Director of Flow Cytometry and Chief for Hematopathology Services. A noted authority in clinical flow cytometry and hematopathology, he served for more than ten years as a hematopathologist and director of hematopathology with Genzyme Genetics, Inc. / IMPATH, Inc. and later with CSI Laboratories’ medical team where he worked as director of flow cytometry. thoroughly explained and there are 13 chapters dealing with individual diseases or groups of diseases. Flow cytometric immunophenotyping results are correlated with morphological characteristics and molecular/cytogenetic abnormalities. Limitations of the procedure are discussed. The text is up-to-date, incorporating the 2016 revision of the WHO classification of tumours of haemopoietic and lymphoid tumours. Since there is a great deal of detailed information, it will serve as a useful reference for immunophenotyping laboratories as well as being an educational tool for others.